June | 2014 | Live Healthy S.C. When baseball legend Tony Gwynn passed away June 16, it was a wake-up call to many people about the dangers of smokeless tobacco. Gwynn, who died at 54, was a long-time user of chewing tobacco and it ultimately cost him his life after a long battle with salivary gland cancer. Since Gwynn’s passing, a number of professional baseball players have announced they will stop using smokeless tobacco, including Washington Nationals pitcher Stephen Strasburg and Arizona Diamondbacks pitcher Addison Reed. From a public health perspective, the hope is that their decision to stop using tobacco products will inspire younger players who idolize them to avoid using chew or to quit. This entry was posted in Chronic Disease, Community Health, Outreach, Prevention on June 27, 2014 by SC DHEC. The WIC Farmers Market program is an important part of our obesity prevention efforts here in South Carolina. The voucher program helps low-income women and children access fresh, locally-grown produce, and encourages them to incorporate more fruits and vegetables in their daily diets. Each year about 15,000 South Carolina WIC participants receive $25 in vouchers to redeem at participating farmers markets and farm stands in their communities between June and early October. To encourage participation in the program, many of our local public health clinics are highlighting the farmers market program in their WIC nutrition education classes. Below is a photo from a healthy snack tasting lesson that two of our nutrition education specialists, La’Quashia Emerson and Ariel Bellamy, recently held for WIC clients at our Conway Health Department. This entry was posted in Community Health, Maternal & Child Health, Outreach and tagged children, farmers market, nutrition education, obesity, WIC, women on June 20, 2014 by SC DHEC. Increasing access to vaccines that prevent serious diseases is one of the best ways to help children and adults stay healthy. This school year, South Carolina 7th graders faced a new school entry requirement – showing proof of a TDAP booster vaccine. The TDAP booster is designed to help protect pre-teens and adults from serious, preventable diseases like tetanus, diphtheria, and pertussis (also called whooping cough). This new school-aged immunization requirement is based on a recommendation from CDC and SC pediatricians to increase protection against whooping cough, which has been on the rise nationally. To help ensure that more rising 7th graders are ready for school this fall, our central office team worked with our regional Public Health teams to implement a spring series of vaccination clinics at schools across South Carolina. Offering vaccines at schools not only makes it easier for children to access the vaccine, it also makes it more convenient for parents who would normally have to take time off from work to get their child vaccinated. 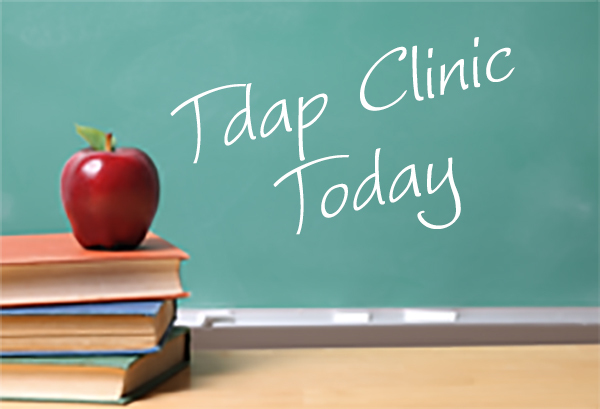 The school TDAP vaccine clinics were a big success. Our Public Health teams held clinics in 302 schools across the state between March and May. Our Upstate team led the way, vaccinating 2,420 rising 7th graders, followed by our Midlands team (1,531 students vaccinated), Pee Dee team (1,360 students vaccinated), and our Lowcountry team (1,345 students vaccinated). Thank you to all of our Public Health staff who helped us bring this important vaccine to thousands of South Carolina school children. This entry was posted in Disease Control, Maternal & Child Health, Outreach, Prevention on June 13, 2014 by SC DHEC. Recently, the CDC issued a recommendation that people traveling to 10 countries in Africa and the Middle East, including Israel, should get a polio vaccine or booster shot before visiting. Polio is a vaccine-preventable disease that public health workers have been trying to eradicate for over 60 years. Here in the U.S., we’re fortunate. Thanks to aggressive vaccination efforts, our country has been polio-free since 1979. But with over a billion people crossing international borders each year, vaccine-preventable diseases rarely seen in South Carolina could make their way here. Recently, the World Health Organization declared the international spread of polio to be a public health emergency following 417 new cases of the disease in 2013. CDC recommends anyone visiting Israel for longer than 4 weeks should get a polio vaccine or booster shot at least one month prior to traveling as a precaution. 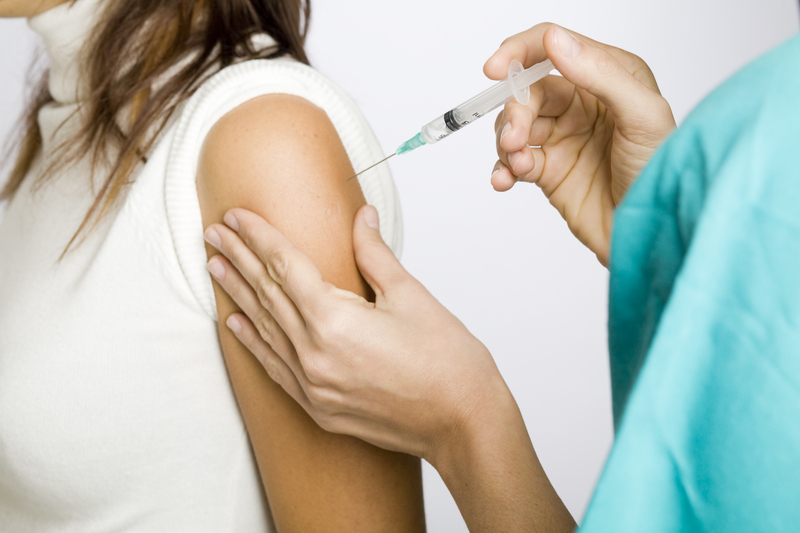 Our Immunizations division recommends that anyone traveling out of the country should always visit the CDC’s travel website for updated information on vaccine recommendations by destination. This entry was posted in Disease Control, Prevention and tagged CDC, immunizations, infectious disease, Israel, polio, vaccines on June 13, 2014 by SC DHEC. When it comes to eating healthy, DHEC Public Health is working to lead by example. Last week, I received photos of our North Charleston health clinic’s summer community garden in full bloom. Like many of the communities that we serve, our North Charleston clinic is located in a food desert and our clients often have to travel at least six miles to access a grocery store with fresh produce. Two years ago, Caroline Madsen, who’s a nutrition education specialist with our WIC program, started a garden at the clinic to get our clients interested in eating fresh vegetables, and inspire them to create gardens of their own. Below is a photo of Caroline standing in the summer garden shortly after it was planted at the end of April. Before coming to DHEC, Caroline worked as a horticulturalist. She brings her love of gardening to her work as a WIC nutritionist and has inspired her colleagues to join in the fun. Fellow nutrition education specialist Binoo Hasija and registered dietitian Sylvia Blyth work with Caroline to start seedlings in their homes, purchase supplies for the garden, and tend it daily. According to clinic site supervisor Karen Lindsay, the community garden is a big hit with our WIC clients and their children, who pick ripe produce during their nutrition classes and take the fresh veggies home to eat. Our staff encourages WIC clients to eat them fresh, and they give advice to people seeking to start their own home or patio vegetable gardens. The North Charleston community garden has been such a success that Caroline will be traveling to our Beaufort and Bluffton clinics soon to help them start gardens for their clients, too. Thank you to Caroline, Binoo, and Sylvia for all your hard work in establishing and growing this successful community garden that’s helping our clients access and enjoy fresh, local produce. This entry was posted in Community Health, Maternal & Child Health, Outreach on June 6, 2014 by SC DHEC.